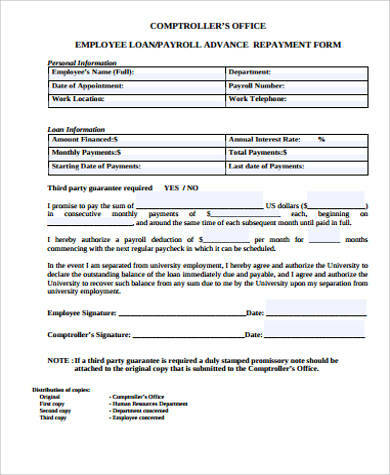 An employee advance form is a document that an employee uses to get an advance payment for the services that he or she is to render in the future. It includes the information about the cash advance being asked for and other data about the transaction that will be done. 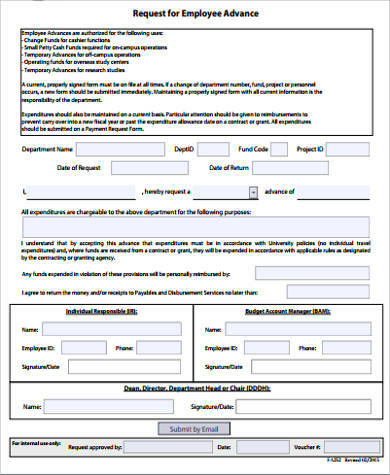 You may download our Sample Forms and see which of them has the structure that is usable for this cause. 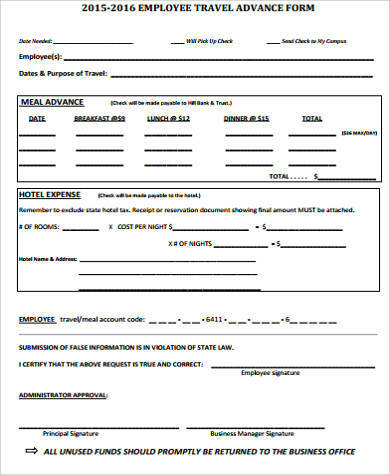 This article contains concrete employee advance form and the attached link may also be used for other purposes other than employee cash advancements. 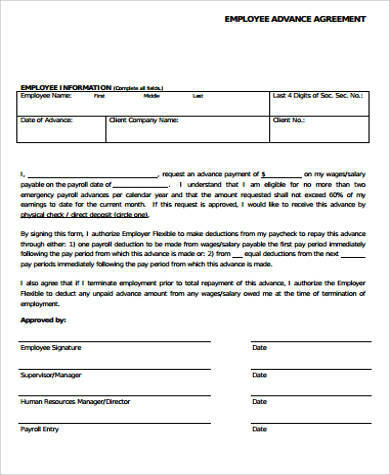 What Are the Information in an Employee Advance Form? the date when the request for cash advance has been approved. 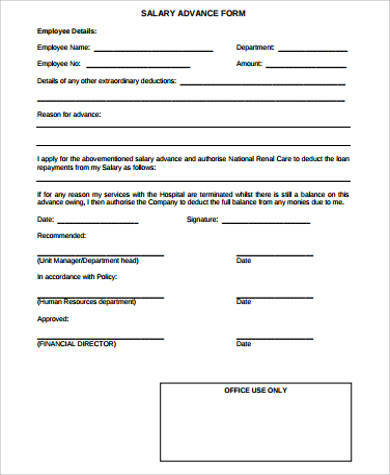 Aside from our samples of an employee advance form, you may also download our Employee Application Forms and Employee Review Forms. there are unexpected and additional costs that they need to pay. 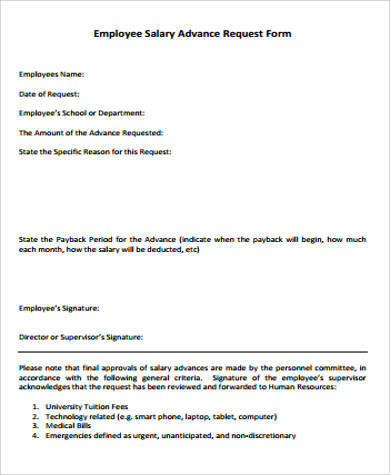 You may tell your human resource department to just deduct the entire amount on your next salary pay. 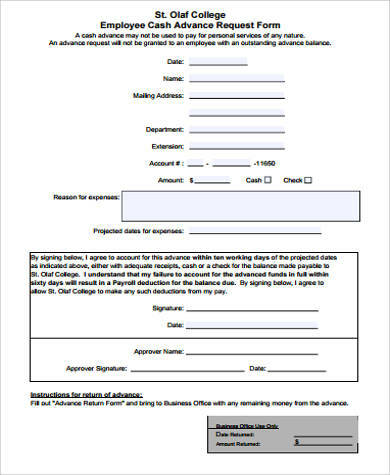 You have the option to divide the entire amount into portions and ask the human resource to deduct it on a number of cutoffs. Cash advances are truly helpful especially if you need instant money in a specific scenario. You just have to remember that the amount that you have requested will be deducted on your next pays, so you need to spend the money given as a cash advance wisely. 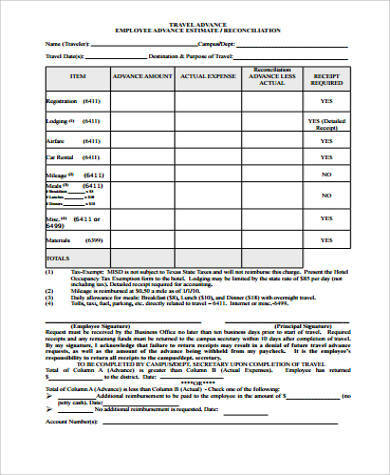 Other than our employee advance form samples, you may also download our Employee Termination Forms.